There’s nothing more dapper than being able to throw on the perfect pair of dress pants that look like they were specifically tailored to your body. 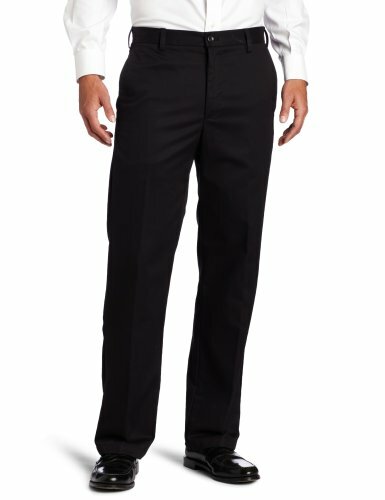 No matter if you’re in a career where dress pants are the typical piece of clothing you reach for in the morning or if you prefer to carry a more exclusive and illustrious appearance for everyday wear, there are plenty of reasons as to why you might be on the hunt for the perfect pair of dress pants. In this guide, we have compared five of the top dress pant designs that you can find in an effort to help you diversify your wardrobe with items that you can finally feel comfortable wearing. Dressing up certainly isn’t as much of an inconvenience when you have great dress pants that you can trust. How do you iron dress pants? 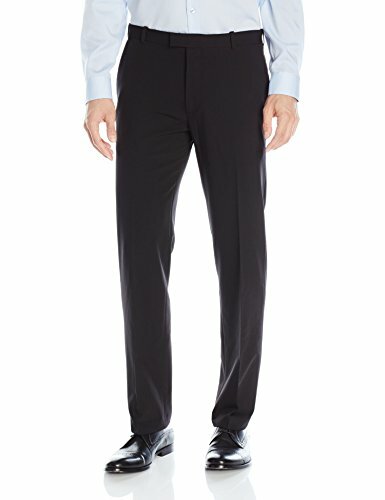 How do you hem dress pants? How should dress pants fit? How do you wash dress pants? Haggar is a well-known brand when it comes to men’s fashion, particularly if you’re interested in a more classic and comfortable style than eccentric and modern. With the Haggar Men’s Cool 18 Dress Pants you’ll easily be able to pair them with anything ranging from a dress shirt to a chunky cable knit sweater and still look your best. Available in 18 different colors, the options are quite significant as you can easily buy a single pair of trousers for any occasion with ease. Aside from the fashionable elements of the pants, they are also comfortable and easy for all men to wear. With a few interesting features that you normally wouldn’t see in your typical everyday dress pants, the Haggar Men’s Cool 18 Dress Pants could be the perfect pair you’ve been looking for. If there’s one thing that can certainly be said about dress pants and trousers it’s that it can be difficult to have to iron them every day before you wear them. Luckily, these pants take the hassle out of getting ready in the morning (or the night before) as they offer a non-iron treatment applied to its 100% polyester design. Typically, you would have to pay extra to have a tailor apply the non-iron treatment and as such, it’s great that it already comes with these slacks. It can be incredibly difficult to find the right pair of pants that will fit you as if they were tailored to your body, especially if you’re not the type of person who is interested in trying pants on. The Haggar Men’s Cool 18 Dress Pants help to make finding the right size simpler by offering an expandable waist. This means that you can order the pants in your general size and adjust the waistband based on any discrepancies in the fit, also, if you’re currently on a weight loss or weight gain venture it helps to prevent you from having to buy a new pair of pants at every milestone. It can be tough to dress up in warmer weather, especially if you’re wearing materials that are seemingly impossible to breathe in. These Haggar pants offer incredible moisture wicking which helps moisture to stay away from your skin, keeping you cooler in the summer and more comfortable in the winter. There are plenty of things that we appreciate about the Haggar Men’s Cool 18 Dress Pants, especially when it comes to the fit. With a natural waistline, these pants fit more like khakis than your traditional idea of dress pants, which helps to make them appear more cool, comfortable, and modern, meanwhile offering a standard classic appeal that suits men of every age. In terms of fit, we can also appreciate the expandable waist feature as it allows for some variation in size (up to an inch and a half) but still gives you the ability to customize your fit for the perfect level of comfort. If there’s one thing that can truly be said about these dress pants it’s that they’re incredibly comfortable to wear, even in hot weather. No matter if you work outdoors and need to look dressy or if you’re sitting at a desk all day, you’ll never have to worry about sweat stains or discomfort as a result of heat. Also, with the non-iron treatment, you could quite literally fold the pants in your backpack for hours and take them out, only to have them fall perfectly straight without a single crease. If you’re the type of man who prefers to have stretch throughout the entirety of their pants, including the legs, then these certainly aren’t the right pants for you. They do offer a comfortable amount of stretch in the waist, but when it comes to your thighs and seat, there is little to no give, which can be tough depending on your body shape. Although the pants are classified as slim fit, they are a little tighter around the legs and crotch than you might originally expect. Another issue that is incredibly important to think about is the weight of the material and its thinness. 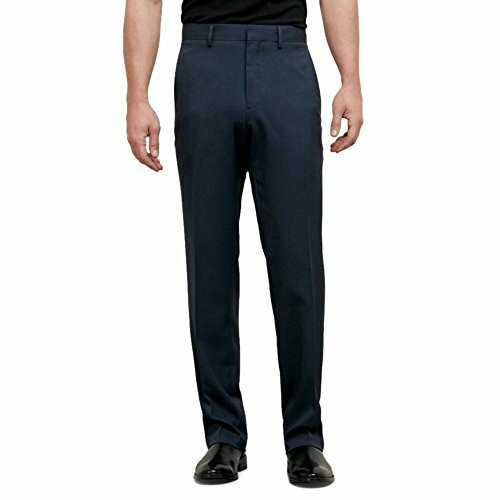 As the Haggar Men’s Cool 18 Dress Pants are designed to offer moisture wicking and be incredibly breathable; that also means the material used during construction is incredibly thin. If you are opting for lighter colored trousers, such as white, it will be easier for people to see your boxers or briefs through the pants. You’ll most likely need to color coordinate your undergarments with the type of pants you’re wearing. As another incredibly notable name in men’s fashion, the Van Heusen Men’s Flex Pants offer a striking and stunning appeal that is adaptable to any occasion. No matter if you’re getting prepared for a business meeting or a romantic evening with your significant other, this style accommodates every type of modern and classic man. When it comes to dress pants, it’s difficult to stand out from the competition, as pants typically don’t offer too many highlighted features. Imagine finally having the ability to tuck your shirt in for the day and know that it’s going to stay in the same place. With the innovative shirt-gripper technology, you can stand and sit all day long without being afraid of your top becoming displaced in your waistband. Although it may not be as useful as an expandable waistband, the stretch design is what helps to make these pants one of the most comfortable pairs you’ll own. It helps to add to the versatility of the design by offering up to an inch and a half of stretch and accommodates any body type, giving you the flexibility you’ve always wanted from a pair of trousers. Similar to the Haggar Men’s Cool 18 Dress Pants, the Van Heusen Men’s Flex Pants are also non-iron, giving you the ability to throw your pants in the dryer and pull them out with zero creases. This is also essential for men who are always on the go and have to pack their dress clothes in luggage, as you won’t have to worry about unsightly wrinkles when unpacking. There’s plenty that you’ll appreciate about the Van Heusen Men’s Flex Pants as they take your traditional idea of trousers and bring them up a notch which is what helps to make them one of the better dress pants you can get your hands on. The natural stretch of the garment is what truly sets it apart from the competition as it enables the pants to move with you, making them the perfect partner for a more active and formal lifestyle. In addition, in terms of fit, the flexible waistband gives you up to an inch and a half of additional movement, giving you the opportunity to feel more comfortable while you’re dressed up. Another thing that is great about the Van Heusen Men’s Flex Pants is their fastening system that helps to keep the pants secure around your waist. With the help of the front fly zipper, hook, and button, you’ll never have to worry about your pants becoming displaced as a result of regular wear which is essential for relatively active men. Although there are plenty of positive things to say about these dress pants, there are a couple of concerns to take into consideration as well. First, the available colors may differ in appearance than how they are photographed, for example, the charcoal grey is slightly lighter than displayed in the advertisement and this is important to consider when purchasing specific colors outside of black. Another issue you may experience is the length of the pants, depending on your body size, though this is an issue that you will be faced with when it comes to most trousers. You should always expect to have to take your pants in to be tailored to meet your specific height, as this helps to set a seamless appeal. As menswear brands that are known for their more rugged designs, Lee is a phenomenal name that you can trust, especially if you’re the type of man that likes to focus more on functionality than fashion. Ideal for the type of person who is less interested in a slim straight fit, more interested in classic fit pants, these are the ideal trousers for everyday wear, and they are clearly designed to last an incredibly long time. There’s nothing more frustrating than having to bring your dress pants to the dry cleaner every time they need to be washed. Designed to be a little more rugged than your traditional pair of dress pants, these pants are entirely machine washable and able to be put in the dryer, helping you to save time and money. As a phenomenal feature that no other pair of dress pants on this list has to offer, the stain-repellant technology integrated into the Lee Men’s Total Freedom Pants is a giant selling feature. You’ll never have to worry about trying to scrub coffee out of your pant legs or dealing with a stain at the end of the day because of a spilled lunch. Frequently included in most dress pants that you find, non-iron technology has become more of a staple than a convenience. It helps to take the hassle out of getting ready for a big event as you’ll never have to touch your iron again, all you have to do is throw your pants in the dryer for a few minutes and they’ll be completely wrinkle free. One of the most beneficial things that you will surely appreciate about the Lee Men’s Total Freedom Pants is that they won’t shrink after regular washes. This means that once you invest the money in your pair of dress pants, there’s no need to worry about any variations in sizing with regular maintenance. Also, unlike many other types of dress pants, the sizing of these is more likely to be close to perfect as soon as you receive them, meaning you won’t have to spend an absurd amount of money on alterations. As a brand that is known for their adaptability, an amazing feature of Lee’s dress pants is that they are great for the everyday desk job, but they are also convenient for the blue-collar worker. No matter if you’re constantly standing and squatting or if you’re crawling into tight spaces, you’ll appreciate the reliability of the material as well as the dressy appeal you wouldn’t receive from traditional heavy-duty work pants. There are plenty of benefits to be had when you opt for the Lee Men’s Total Freedom Pants, but there are a couple of difficulties that you might experience as you begin to wear them on a regular basis. First, they are somewhat prone to attracting lint, dust, and static because of their material. It’s a good idea to have a lint roller and static protection agent at home to ensure the pants are clean and presentable at all times. It’s also important to remember that these pants are designed to have a classic fit, meaning they are going to be looser in comparison to a slim cut. You’ll have more room around your legs, seat, and waistband than you would with some other designs, which means this pair may not be the ideal pair of dress pants for younger wearers. 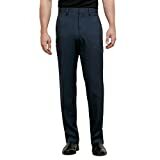 Kenneth Cole has always been known for their array of fashionable items, particularly when it comes to formal dressing, and the Kenneth Cole Reaction Men’s Pants are no different. At first glance, you can already tell that they are a more modern design, ideal for younger wearers that are looking to showcase their personal style. However they are still comfortable, easy to wear, and easy to take care of. Instead of having to rely on your local dry cleaner, you’ll have the ability to take care of your dress pants from the comfort of your home. Designed specifically to be washed and dried in traditional residential appliances, you won’t have to worry about shrinkage, fading, or wear and tear with regular washes. Depending on the type of dress pants you’re looking for, a rigid waistband could either be a positive or a negative attribute. In the event that you’re in the market for a pair that offers a tight waist that will keep your shirt secured in place and give you the structured feeling some people desire from formal wear, these are certainly the pants for you. To add to the reliability of their design without making it too complicated, the Kenneth Cole Reaction Men’s Pants offer a zip fly and button closure. There’s no need to worry about dealing with two buttons or a button, a hook, and a zipper all in one. Getting dressed in the morning has never been easier and quicker. The first thing that you’ll notice about the Kenneth Cole Reaction Men’s Pants is that they’re incredibly easy to take care of and the materials are slightly more resistant than others on the market, especially when it comes to lint and dust. If you’re not interested in having to take out a lint roller every time that you put your pants on, these are certainly the ones for you. Another thing that you’ll appreciate about these dress pants is they’re designed to be lightweight and easy to wear throughout the seasons. Although it’s not necessarily recommended to wear them in the middle of a snowstorm, they offer the perfect amount of breathability and structure to wear them through the spring, summer, and fall. In comparison to the other pants on this list that offer a non-wrinkle treatment in their fabric, the Kenneth Cole Reaction Men’s Pants do not but due to the way they are constructed, you’re still quite unlikely to be hindered by wrinkles in the morning. This proves that they are made out of high-quality materials that are surely designed to last. 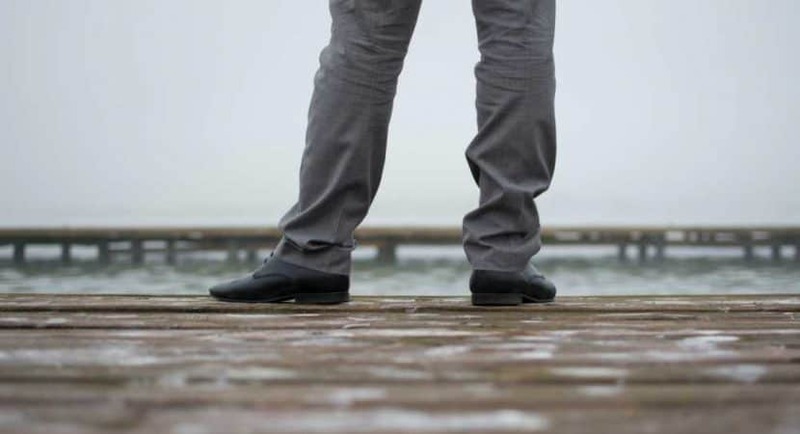 There are plenty of positive things that can be said about the Kenneth Cole Reaction Men’s Pants, but there are also a few negative aspects to think about as well. If you’re the type of dress pant wearer that needs a lot of flexibility around the seat and thigh area, these are certainly not the pants for you. Unfortunately, as they offer a more rigid modern style they don’t give much room for flexibility, which may be essential in your line of work. It’s also important to note that although they are entirely machine washable, it’s best if you limit washing them to once a week instead of every other day. As with any other type of dress pant, the more you wash them, the looser the hems are going to become, and you could begin to see unraveling at the bottom of your pant legs. For the everyday man that isn’t too fond of wearing dress pants but still needs a structured outfit to wear for formal occasions, IZOD Men’s American Chino Pants could be a perfect choice. They offer a strong stability that is similar to your typical idea of chinos, but they are designed to be slightly dressier than other designs. No matter if you’re looking for a business-casual pair of pants or if you’re just not interested in the discomfort of regular dress pants, these could be an alternative. One of the things that easily make these pants one of the greatest dress pants you can find is the fact that they are designed with a relaxed fit. In comparison to traditional dress pants that are a little too difficult to move in or don’t give you enough space in the seat and thigh area, these are a better option. You won’t have 100% flexibility, but you’ll have slightly more room, which makes it easier to move around. Chinos are relatively easy to wrinkle, especially when you buy lower-end variations. 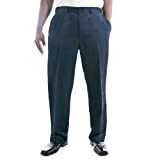 However, the IZOD Men’s American Chino Pants are treated with a non-iron formula that helps to keep them wrinkle free regardless of how they are washed, dried, or stored. With double-welt pockets on the back of the trousers and side slash pockets on the front, you’ll have more than enough space to store all of your most essential belongings throughout the day. When you’re buying clothes for yourself you’re going to want to make sure that you’re choosing items that are as adaptable as possible, which is one of the best things about the IZOD Men’s American Chino Pants. You have the ability to dress the pants up with a button-up shirt or you can dress them down by pairing them with a regular T-shirt and shoes. It’s also important to find a pair of pants that give you color options to ensure that you can choose the right pair for every occasion. Although the IZOD Men’s American Chino Pants might not have as many colors as other brands, with nine different colors of chinos available, you’ll surely be prepared for every event. Another thing you’ll appreciate about these dress pants is the fact that they feel like they’re high-quality chinos that you would typically spend a couple of hundred dollars on. Their rugged design is built to last and withstand wear and tear from regular use, giving you the ability to own a phenomenal pair of pants that will work with you through any type of job environment. When you first receive your IZOD Men’s American Chino Pants it’s important to take the time to try them on to get an idea of whether the fit is right for your body or not. Unfortunately, although they are designed to be rugged and a little more modern than traditional dress pants, the pockets have the tendency to flare out at the sides, which can be slightly unappealing. It’s also important to remember that the more rugged the material of a pair of pants is, the less comfortable they’re going to be right out of the box. You’re going to have to dedicate time to wearing, washing, and drying them on a regular basis in order to break them in so they become more flexible and comfortable. When you’re ready to start shopping for the perfect pair of dress pants, it’s important to know what you’re looking for as it’s easy to get lost and frustrated. With that being said, there are a few important elements that you should take under advisement to make sure that you get the perfect pair of pants for absolutely any occasion. By far, the first thing to think about when you’re searching for dress pants is the type and there are plenty to choose from which is what makes dress pants so fascinating. In the past, everyone knew what dress pants were and they all looked the same with the starched, straight, and creased appearance. In today’s day and age, dress pants can range from the typical traditional look to something more comfortable and durable such as chinos. At the end of the day, as long as you’re able to dress the pants up, any pair of pants can become dressy, even a pair of traditional Levi’s skinny jeans. Equally as important as style, you’re going to want to think about the materials used to make your dress pants and any treatments the materials may have. 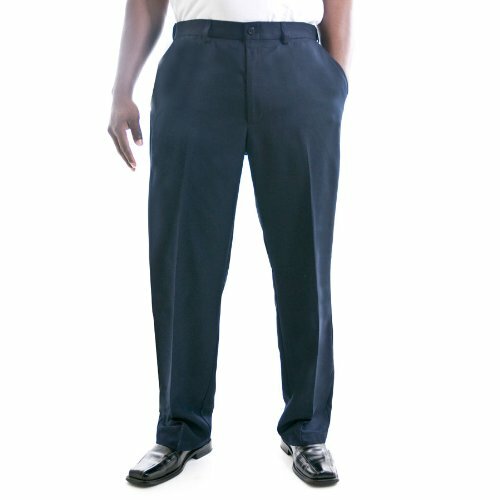 You can find dress pants made out of 100% cotton, 100% polyester, or even blends. In order to find the perfect fabric, you’re going to need to take your lifestyle into account as some men will prefer certain types of materials over others. For example, if you have a relatively normal desk job that doesn’t require a lot of movement, opting for a 100% polyester or polyester blend pair of dress pants are ideal. They’re structured, still comfortable, but easily adaptable to a traditional office environment. However, if you’re the type of man that’s constantly moving around and exposed to the elements, you’re going to want to find a pair that leans more towards a natural material, such as cotton. This helps to wick away moisture, keeping you cool and dry, and is far more flexible, giving you the breathability you desire. When it comes to choosing the right fit, there are several different types that you can choose from ranging from classic to a slim fit and they all have their own appeal. The main reason as to why you need to think about style is because it determines how the pants are going to fit on your body and if you prefer a very specific look, you’re going to need to stick to the same style. Let’s take slim fitted dress pants as an example; they are designed to fit tightly around the legs, seat, and waist. However, if you’re the type of man that wants flexibility and breathability you might be more interested in a classic fit, which is baggier around the legs and groin area as well as more spacious around the waist. The traditional combination of a button and zip fly. The use of two buttons as well as a zip fly. Opting for a hook fastener instead of a button with the help of a zip fly. All three fasteners for a tighter and reliable design. Depending on your personal preference, you can find pants that offer each, though it’s recommended to choose something that is going to take less time to work with. The idea of being able to wash your high-quality dress pants at home is relatively new and it surely helps you to save a lot of money over taking your pants to the dry cleaners. Being able to choose a pair of dress pants that are entirely machine washable, you can’t really go wrong as all you have to do is throw them in with your other laundry at the end of the day. The convenience is what really helps to make this feature well worth your time. Ironing dress pants is a simple process, as all you’ll need is a flat heat-resistant surface, such as an ironing board, and an iron with a steaming function. First, you’ll need to spread the pants across the ironing board, focusing on a single leg at a time. By using the steam function on your iron, you’ll be able to press out any unsightly creases in a single stroke and once you’ve finished one side, you can flip the pants and continue on the opposite side. Hemming dress pants may be a little more complicated than ironing them and at times, it’s better to leave it up to the professionals, depending on your skill level. However, if you’re looking to save the most money, you can attempt to hem them at home. You will need to first try on the pants and have someone use marking pins to determine the ideal length for your pants. Typically, they should fall just below the top of your shoes, hiding your socks, but not hiding your shoes. Once your pants have been marked, you can remove them and use a sewing needle and thread or your sewing machine. By sewing around the entirety of pant leg in a straight and even manner, you’ll be creating your very own hem within a matter of minutes. It’s important to ensure the hem is strong and tight, otherwise, it will easily fall out. The main thing to avoid with your waist and seat is sagging; your seat area should be hugging but not to the point where it feels like you’re going to split your pants. As for the waist, it should fit snug enough so you don’t need to wear a belt. When you try on your dress pants, pinch the sides by the thigh seam. If there’s about half an inch to one inch of loose fabric you’re good to go, otherwise, the pants are too tight. Depending on your build, there are different knee to ankle ratios to take into consideration, as men with a thinner build should focus on tapered legs that are narrower around the ankles. On the opposite end of the spectrum, larger men are better suited to a straight cut from the knee to ankle. Washing your dress pants should be something that comes easy and there are two main options: machine washable and dry clean only. Machine washable is far more convenient as it allows you to take care of your pants at home, but it could also result in your pants fading and experiencing loose hems over time. However, visiting a dry cleaner on a regular basis can be costly, but it is the perfect way to protect your investment over time. If you’re washing your pants at home you’re going to want to put them in on a delicate cycle with cold water and a color-safe detergent. Dress pants are the perfect way to enhance your fashionable appeal for formal and business occasions. Instead of relying on traditional jeans and sweats, dress pants give you the ability to put your best foot forward and show the world that you dress up just as nicely as you dress down. In terms of selecting the best-suited dress pants for every occasion, the Van Heusen Men’s Flex Pants are surely your best option, not only because they offer more benefits than any other pair of dress pants on this list, but also because of their fashionable appeal and versatility. Three things set these trousers apart are their stretch waist, shirt-gripper technology, and their sheer flexibility. The stretch waist gives you the perfect amount of comfort without having to worry about needing to expand or shrink the waist as you gain or lose weight. The pants simply fit your body and offer a customized shape with no effort. The shirt-gripper technology is essential for every man, especially if you’re particularly active during the day. You’ll always look put together without having to consistently adjust your shirt after standing and sitting for hours. Overall, the flexibility of the pants is outstanding, offering you the comfort and breathability your body needs throughout the day. You certainly won’t feel like you’re wearing the typical idea of dress pants, but you’ll look polished, clean, and strikingly handsome. As an incredibly affordable pair of dress pants, the Van Heusen Men’s Flex Pants are by far the best option when it comes to finding trousers that you can wear for absolutely any occasion.